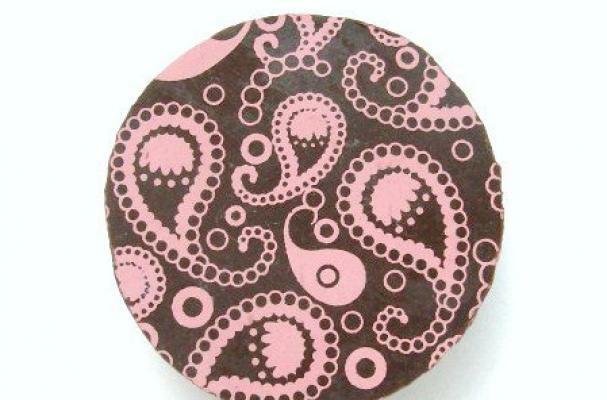 These paisley chocolate-covered Oreos are a patterned pastry. Designed by the talented Kim of Sweeties by Kim, the cookies, which are available in white, semi-dark or milk chocolate, show a flawless pink paisley design. They're the perfect treat to serve up at your favorite cowgirl's birthday party. For another country-chic chocolate-covered Oreo, check out Kim's cow print Oreos.